4K HDMI switchers aren’t just for home theater applications anymore. 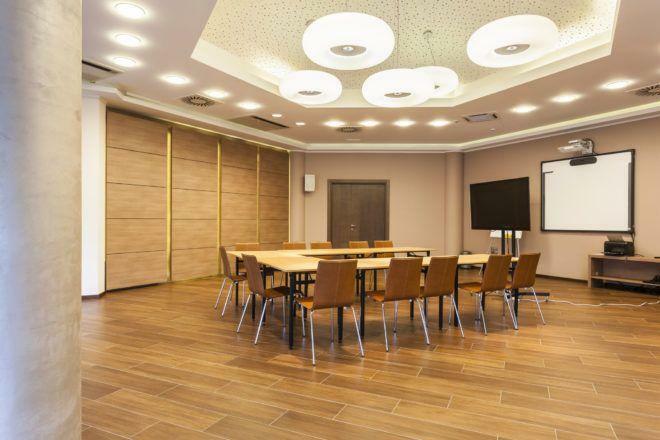 They have made their way into businesses, corporate spaces, and commercial huddle rooms. 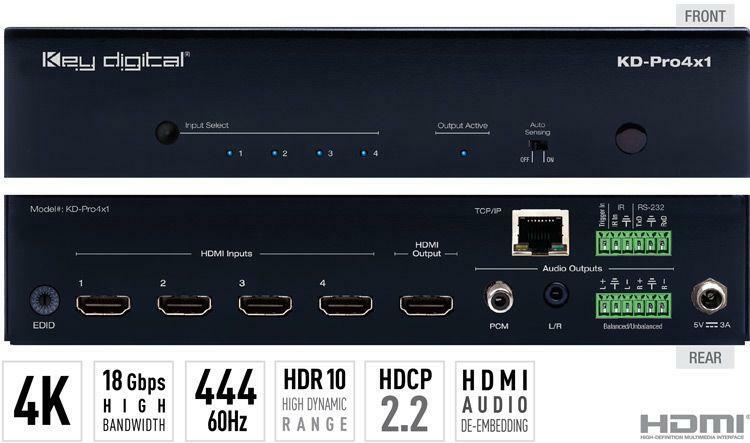 Engineered for environments such as conference rooms, lecture halls, home cinema, and collaboration spaces, Key Digital is introducing their 4K HDMI Switchers with 18Gbps bandwidth, offering integrators a choice of connectivity solutions. Our team was able to get their hands on a few Key Digital 4K HDMI switchers for professional and residential applications. Key Digital has designed the KD-S2x1 and KD-S4x1 4K HDMI switchers with a slim profile. Alternatively, the professional versions, KD-Pro2x1 & KD-Pro4x1 offer audio de-embedding. By the way, you can watch the devices in action by watching the video our guys created on BZBtv. 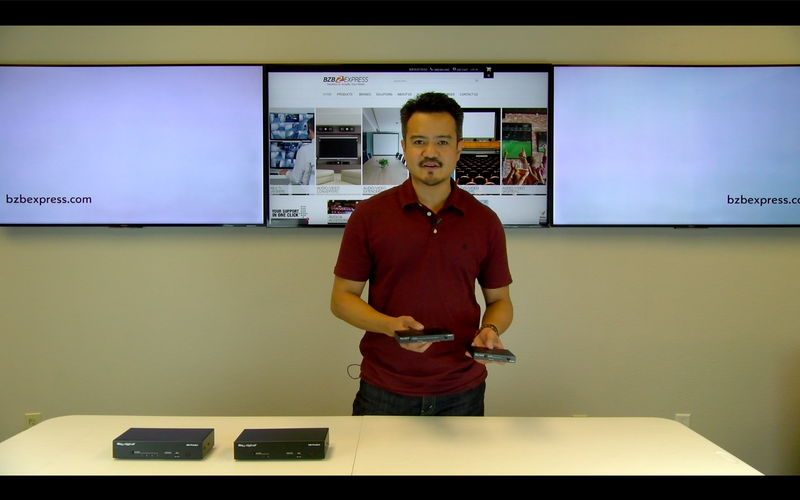 Key Digital’s KD-S2x1 & KD-S4x1 4K HDMI switchers sport a slim and sleek profile. They are engineered to produce the best in performance, quality and dependability, while offering a cost-effecient HDMI switching solution. The KD-S2x1 & KD-S4x1 4K HDMI switchers present multiple input to one output switching options and maintain a pristine picture and sound quality, without degrading the signal. Also, these 4K HDMI switchers support all SD, HD, VESA and Ultra HD/4K video standards, including UHD/4K, 1080p/60, 1920×1200, and 3D. In addition, the units feature push button and optical IR switching, and status-monitoring LEDs. 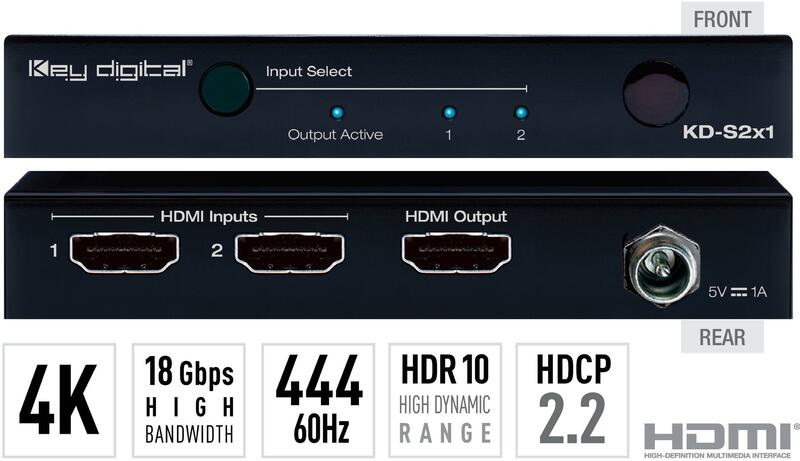 These 4K HDMI Switchers from Key-Digital supports HDR10, HDCP2.2, and Ultra HD/4K. Furthermore, they feature an internal library with 16 default EDID configurations for each input. Moreover, the units support full CEC and features front-panel push buttons and LEDs, and optical IR. In addition, a full buffer system, TMDS re-clocking/signal re-generation management, HDCP source & display authentication, hot plug management, and EDID control handshake are supported. Key Digital is also introducing a pro version of of these HDMI switchers in the KD-Pro2x1 & KD-Pro4x1. The pro versions are ideal for commercial, education, and business applications that require HDMI switching. The KD-PRO2x1 can switch two HDMI sources and the KD-PRO4x1 can switch up to four HDMI sources to the one display. The key differentiator of the pro versions are audio de-embedding of analog L/R and digital coaxial audio. Perhaps the most unique feature the KD-PRO2x1 and KD-PRO4x1 have to offer are the trigger input and auto-sensing when switching. With trigger input an installer can actually wire a button for a client on a conference room table or similar, to just ‘boom’ switch the presenter! The KD-S2x1/KD-S4x1 and KD-PRO2x1/KD-PRO4x1 4K HDMI Switchers are part of Key Digital’s app-ready products. Installers, including end-users can easily switch inputs while controlling the system all from an iOS-enabled device. Furthermore, the units are also Compass Control ready. Compass Control is an integrated control system with an iOS backbone that integrates remotes and traditional interfaces in one interface. The unit is also controllable via RS-232, IR, and TCP/IP via open API with 3rd party control systems. The products mentioned above are currently available at our store. BZB Express is a proud Authorized Dealer of Key Digital products providing 100% authentic products and accessories. Key Digital products from BZB Express come with the manufacturer’s warranty. The BZB Express Team is committed to post-sale technical support by certified professionals.